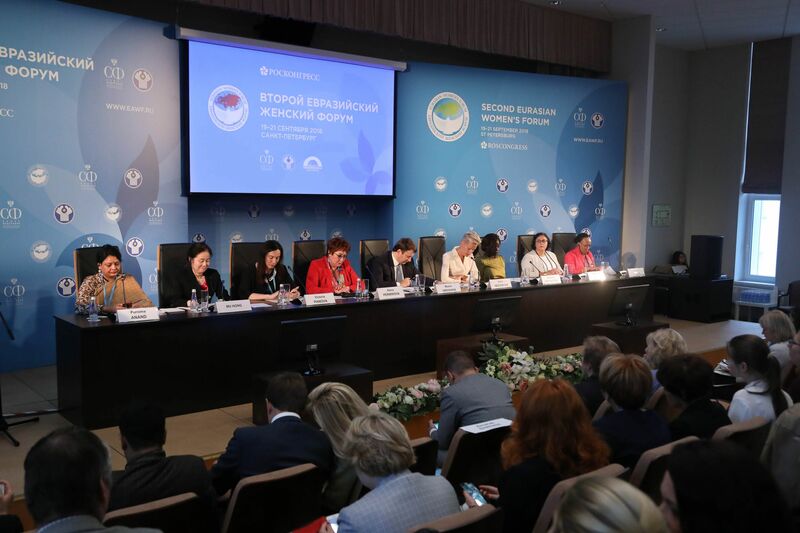 Global Rus Trade took part in the dialogue "Women and the economy"
September 21 in St. Petersburg in the Eurasian Women's Forum was held the second public-private dialogue BRICS "Women and the economy." 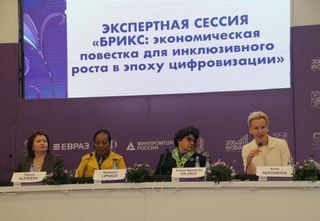 The session was attended by the Minister of Economic Development of the Russian Federation Maxim Oreshkin, the contact person on trade and gender issues of the World Trade Organization Anush der Bogossian, the head of the program to promote women's opportunities in the International Trade Center Vanessa Erogobogbo and others. The moderator of the event was the founder and chairman of the board of directors of Global Rus Trade Anna Nesterova. The Minister of Economic Development of the Russian Federation Maxim Oreshkin noted that today in Russia the economic activity of men is 71%, women 56.6%. According to him, now a number of decisions are being made to involve women in the economy, for example, creating more preschool facilities for children, which will allow women to go to work earlier. Anna Nesterova stressed that the inclusion of women in the economy is a priority direction of growth: now the gap in GDP due to lack of involvement of women in economic processes is from 15 to 35% for developed countries. 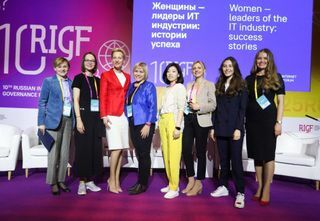 The founder of Global Rus Trade spoke about the initiative to create the Women's Business Alliance BRICS - a platform for promoting women's entrepreneurial potential in the BRICS countries. The trade and gender contact point for the WTO Development Department, Anoush Der Bogossian, highlighted in her report the problem of the involvement of women entrepreneurs in international trade. 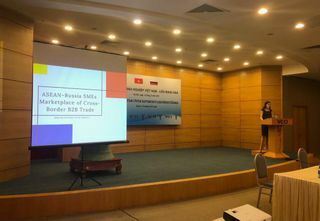 She noted that the main barrier is the lack of complete information about the requirements for entering the export market. The head of the program to promote women's opportunities in the International Trade Center Vanessa Erogobogbo's business spoke about the possibility of integrating women into the economy through the open SheTrades platform. The online site promotes the search for new customers and the establishment of business contacts between entrepreneurs from different countries. 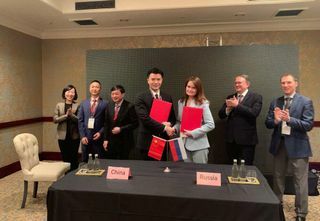 Based on the results of the Second Public-Private Dialogue of BRICS, recommendations were issued to the governments of the participating countries of the five on the development of women's entrepreneurship.